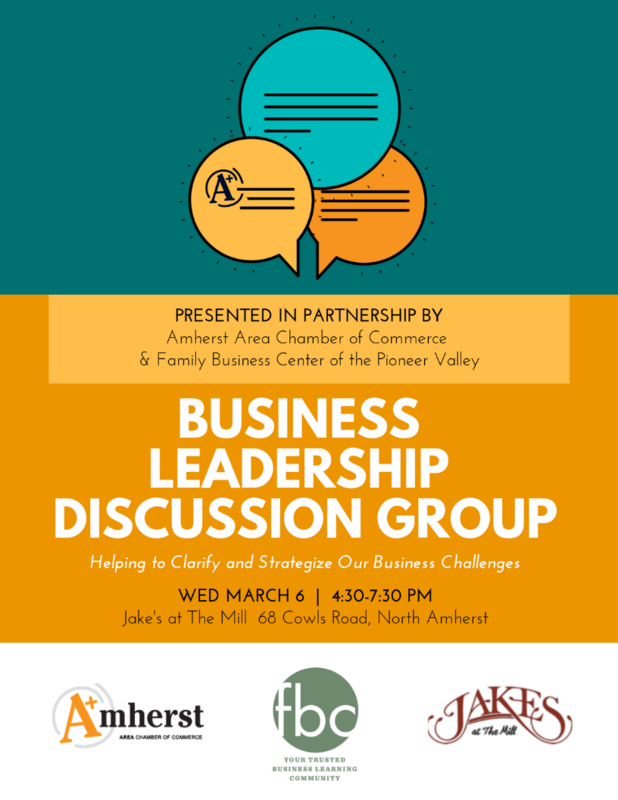 Join in our sharing about challenges we each face in business, digging down with open-ended questions, helping each of us discover our best options. This event will be confidential, safe, well catered, and collegial. The inter-industry array of perspectives will help you see things in a new way. The collective wisdom of this group will shed new light on how you?ve thought till now. 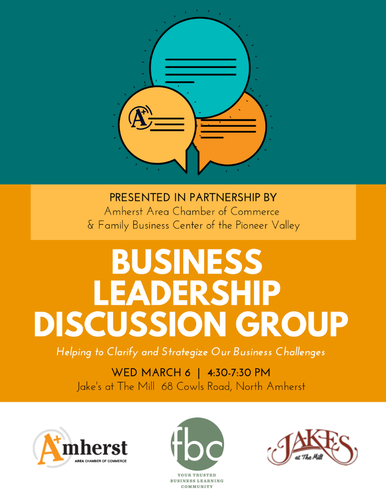 The discussion will flow, but also have a structure, and will be facilitated by Ira Bryck and Jessi Kirley of the Family Business Center of Pioneer Valley, a community of owners, managers and expert advisors of Pioneer Valley companies, both family owned and closely held, who gather to learn, be inspired, and expand our view. We share how we've transitioned, communicated, strategized, innovated, and discovered our talent and passion. Ira has been facilitating roundtables for 25 years, and Jessi is part of the first graduate cohort of the Daniel Goleman Emotional Intelligence Coaching program. $40 for this professional development opportunity, healthy dinner, beer and wine for Members. $55 for Non-Members.